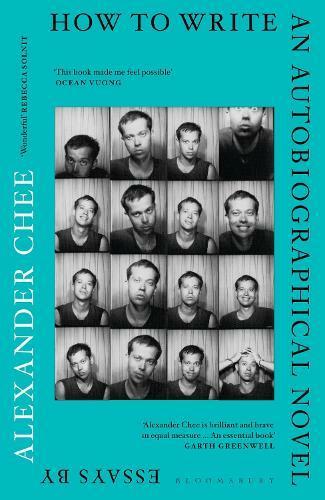 As a novelist, Alexander Chee has been described as `masterful' by Roxane Gay, `incendiary' by the New York Times, and `brilliant' by the Washington Post. With How to Write an Autobiographical Novel, his first collection of nonfiction, he secures his place as one of the finest essayists of his generation. How to Write an Autobiographical Novel is the author’s exploration of the entangling of life, literature and politics, and how the lessons learned from a life spent reading and writing fiction have changed him. In these interconnected essays he constructs a self, growing from student to teacher, reader to writer, and reckoning with his identities as a son, a gay man, a Korean American, an artist, an activist, a lover and a friend. He examines some of the most formative experiences of his life and America’s history, including his father’s death, the AIDS crisis, 9/11, the jobs that supported his writing - Tarot-reading, bookselling, cater-waiting for William F. Buckley - the writing of his first novel, Edinburgh, and the election of Donald Trump. By turns commanding, heartbreaking and wry, How to Write an Autobiographical Novel asks questions about how we create ourselves in life and in art, and how to fight when our dearest truths are under attack.